When we first read the news that Kimi Räikkönen was set to dip a toe in the choppy waters of NASACR we had to check our calendar – was April Fools Day here already? Because, as far as this Badger can see, such a move seems like something of a joke. Though concrete plans are yet to be confirmed, it is believed Räikkönen will begin by contesting some events in NASCAR’s third tier Truck Series, begining at Charlotte Motor Speedway in May; he would then progress to the Nationwide Series before making the leap to the Sprint Cup, NASCAR’s main event and undoubtedly the championship Kimi would envisage himself competing in. But I’m not feeling this move at all. 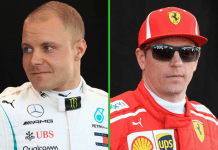 Räikkönen to NASCAR may have caused dollar signs to pop in to the eyes of Kimi’s accountants but from a number of more sensible points of view this switch sounds like a disaster waiting to happen. It’s worth clarifying two things at this point: firstly, I am a big fan of Raikonnen and would cheer him on in whatever series he was competing in; secondly, I don’t take the view that NASCAR is a dull-as-dishwater stock car series where ‘they just drive round and round in circles.’ The guys at the top over there are supremely talented racers. So my view that Räikkönen should stay well clear of the NASCAR world isn’t based on a dislike of him or a lack of respect for the series – I just think they’d be an absolutely horrible fit. First off, Raikonnen would have to go through another process of learning a new discipline were he to make the NASCAR switch. Having struggled to get his head around rallying, showing speed at times but all too often throwing his car in to scenery, it’s hard to believe he’s so quickly decided he wants to start from scratch all over again. And make no mistake, this would be a massive adjustment for the Finn. Heaving a 3,400lbs pound stock car around an oval is a whole other world to what he’s used to. Switching to ovals isn’t simple a case of thinking ‘hey, this is just one never-ending corner – easy;’ it’s a unique form of racing that requires its own skill set, one that Raikkonen is yet to even begin developing. He wouldn’t be the first single-seater convert to NASCAR. 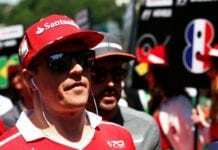 Far from it in fact, with a host of drivers having made the switch in recent years, enduring largely unsuccessful results. Take three-time Indycar champion Sam Hornish Jr., who left open-wheelers for stock cars in 2008. Three troubled seasons later he could only muster a part time ride in the second tier Nationwide series for 2011 and has hit nadir. Scotland’s Dario Franchitti, one of American open-wheel’s leading lights of the past decade, went NASCAR racing after winning his first Indycar crown in 2007. After one nightmare campaign he was back in single-seaters, where he proceeded to win back-to-back Indycar titles and the 2010 Indy 500. Jacques Villeneuve has tried without success to crack the NASCAR world; former Toro Rosso man Scott Speed was fired at the conclusion on the 2010 campaign, whilst the likes of Patrick Carpentier and Max Papis find themselves scrabbling for drives. It’s fair to say then that the switch isn’t easy, even for guys with vast oval experience like these. Arguably the best of the open-wheel converts in recent years has been Kimi’s former McLaren team-mate Juan Pablo Montoya (above). The always-entertaining Colombian has been competing in NASCAR full-time since 2007, during which time he’s taken a total of two race wins, both of them on non-ovals. He had the benefit of entering NASCAR with the crack Ganassi squad, having driven for them in his Champ Car days, and was already well versed in oval racing having won the Indy 500 at his first attempt back in 2000. Kimi would enjoy neither of these perks. And despite his relatively easy entry to the series, Montoya is, whilst among NASCAR’s bigger name driers, nowhere near the elite: that sort of status is reserved for the likes of five-time champion Jimmie Johnson, Tony Stewart and Kurt Busch. The guys mentioned above are big stars in the series, and the companies who pay large sums of money to cram logos on to their cars expect a quite a bit of work out of them in return. In fact, NASCAR sponsors, far more so than those in F1, demand what is often termed ‘bang for their buck.’ That is to say they want more than just to see their logos on the side of a winning car. They expect their drivers to represent them in a broader sense, appearing in TV ads and acting as brand ambassadors. Can you imagine Raikonnen appearing an advert like the one below starring then-three-time NASCAR champion Jimmie Johnson? Thought not – but that’s exactly he sort of thing he’d need to do if he was to placate the sponsors required to run at the front in the series. Whereas Ferrari’s backers seemed content enough to allow Räikkönen to avoid such commitments so long as he was winning this wouldn’t be the case in NASCAR. The series isn’t that big. The idea of Kimi engaging in such activities may seem pretty ludicrous to those who watched his F1 career develop but there’d be no getting out of it Stateside, unless of course he was willing to fund his own programme. Given the costs and his seeming unwillingness to do so in the WRC that isn’t too likely. And if he did he’d still have a very busy schedule. To contest the full championship – which is surely the whole point – you have to compete in a punishing 36 races, kicking off in mid-February and ending in late November. 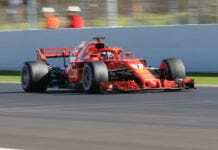 There are a mass of back-to-back races, with races sometimes falling on three successive weekends. This puts F1’s 20-race calendar very much in the shade, not to mention the eight-race programme he’s committed to in the WRC this year. Does Räikkönen really have the hunger to embark on such an intense journey? Perhaps I’ve got it all wrong. Perhaps he’d make the conversion with far greater ease than his predecessors; perhaps the sponsorship pressures wouldn’t be quite so great; perhaps he’d relish racing so relentlessly. But I’m far from convinced. What this feels like is a dash for the cash. He’s no longer on that big Ferrari pay-off salary and his WRC career doesn’t look like elivating him to the pay bracket of Sebastien Loeb any time soon. His Formula One bridges are burnt, and besides he’s already conquered that. Why not join the championship that can offer the next best wages to F1? Why? Because it doesn’t seem that either his head or his heart are in it. Over the winter he was at pains to tell anyone who’d listen how happy he was in the WRC, how he was determined to make a home there and become a success in rallying, a discipline close to the hearts of all Finnish racers. This latest move smacks of a man who’s taken a flick through his bank statements and realised he needs to up his income. That was never what the Räikkönen we saw in F1 seemed to be about. Agree, disagree or digress – just involved with some Badger Banter in the comments section below. Weekend debate: Are we underestimating the F1 Finns? Silly season – who’s really in control? Helmet designs as car liveries? Yes please!